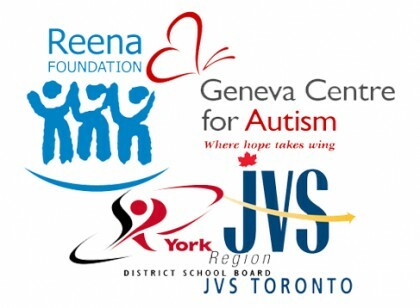 Fieldgate Homes is proud to announce our partnership with Summer Employment Transitions (SET), a program established through Reena, JVS Toronto, Geneva Centre for Autism, and the York Region District School Board to hire summer students with disabilities. On Monday, July 30, the federal government created a task force to find out why people with disabilities have a higher unemployment rate. In Canada, 16 per cent of the population has a disability and over 49 per cent of those are adults, according to StatsCan. Joe Dale of the Ontario Disability Employment Network told CBC’s Metro Morning the biggest challenge is that employers have bought into a series of myths and misconceptions about people with disabilities in the workforce. A fear of higher absenteeism and safety in the workplace, and a fear of firing someone with a disability are the biggest barriers to an inclusive workplace. We spoke with Joan Gold, the chair of the board of Reena, who told us about Reena’s commitment to students with disabilities finding paid work during the summer with local businesses. By being an integrated staff member, Reena helps students increase their employment-related skills, confidence and self esteem. This year, there are 10 students in the pilot program that have been placed with various jobs this summer. And one of the students, D.G., is at Fieldgate Homes this summer from Monday to Wednesday, 9am to 1pm. “When I approached [Fieldgate] to accept one of the students with a job coach from the pilot program, the ownership was more than willing to pay for [D.G.’s] salary,” says Gold. D.G. is a student from Stephen Lewis Secondary School coached by Vanessa Garofalo. She is paid as a summer coach by the SET program, and is noted for winning the “Yes I Can” Award for outstanding achievement in functional academics in math from the Ontario Council for Exceptional Children. “The staff at Fieldgate love her,” says Gold. “She shows great enthusiasm for every task that we give her. The tasks are manageable by her and her work coach, such as scanning and naming files, filing documents and e-mailing.” Her presence has positively influenced the office, and has made the staff’s days much happier. Last week, D.G. received her first payroll slip for funds that go directly into her bank account. “She jumped for joy for at least five minutes and the tears came to my eyes, as we take being paid for granted,” says Gold.